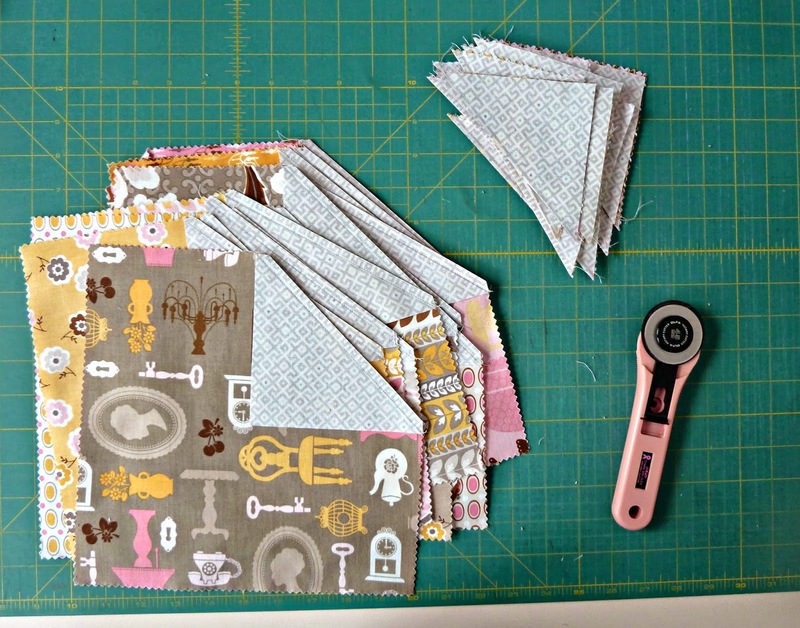 This week I whipped up this little Layers of Charm quilt from Fat Quarter Shop. I've been feeling a bit stuck creatively and usually just sewing something gets my creative juices flowing. I pulled out all my layer cakes and decided this was a good way to finally use this Daisy Cottage layer cake I bought at Quilt Market ages ago. This layer cake didn't have the standard 40 squares so in the end I pulled 16 to make a smaller sized quilt. 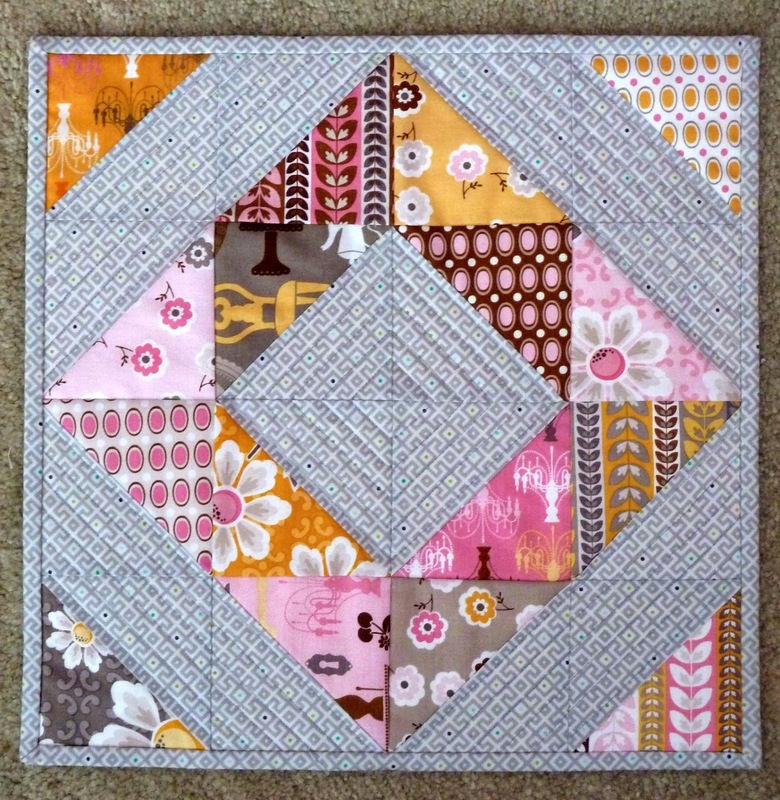 I shopped my stash and decided this grey print from Fox Field would be perfect for the 5" squares. This quilt was made 100% from things I already had in my studio. For the back I pulled this little bird print Audrey had used to make pajama bottoms from my stash. I had just enough of it and I love the whimsy it adds. 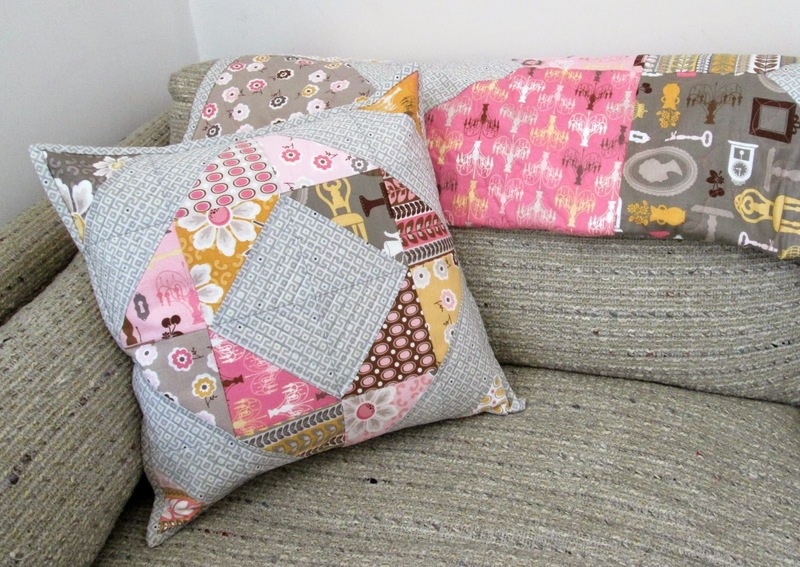 Since I was on a roll I used this tip from Riddle & Whimsy for making bonus HSTs from the side triangles and put them together into a pillow cover. 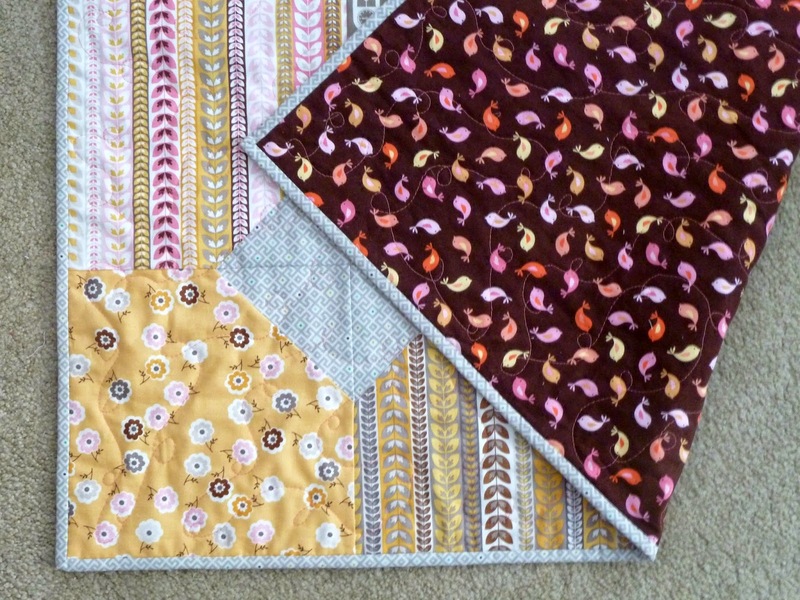 Several of my friends participated in this blog hop so check it out to see more lovely examples of this quick and easy pattern. 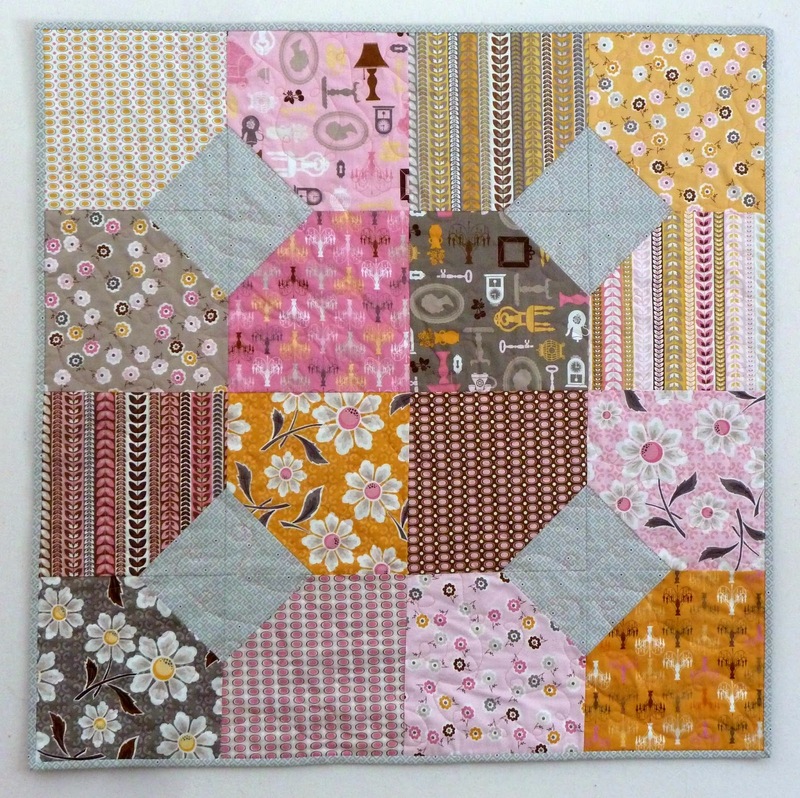 Finished quilt is 38" x 38"
Fabrics: Riley Blake Daisy Cottage Layer Cake, Baby Geo from Fox Field by Tula Pink. Backing Timeless Treasures Bon Voyage. 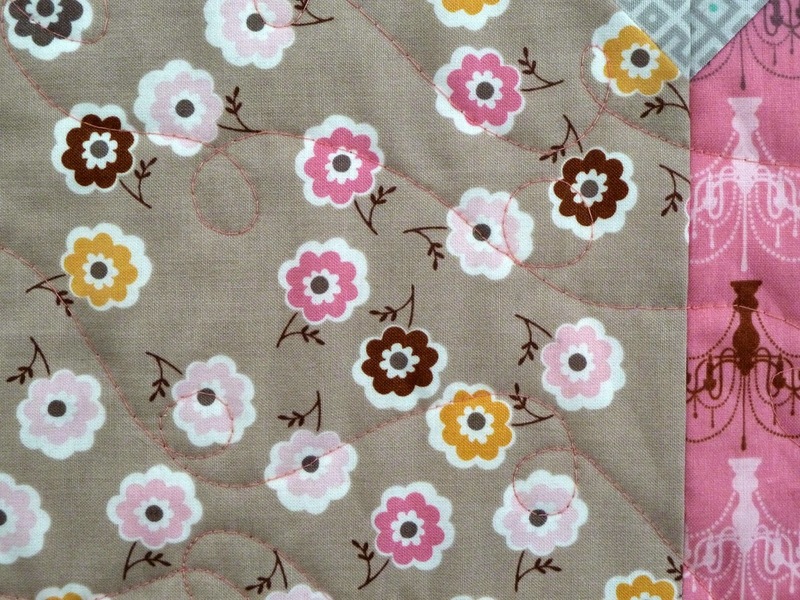 Thread: Aurifil in Peachy Pink (2435).